Hi there! You brought up an excellent point, there really is not a straightforward answer for digital media working for all content areas. I think about the different ways students learn and for those who do not learn best by computer/digital etc, then is this the best method for all? Thanks, Heidi, for your question. The further I go in my career, the more I am convinced that there is no single “right way” to teach every child, so I can understand your point. That said, I am also more and more convinced that we need to teach students with digital tools (and that this could be my blind spot). In my work with teachers and students, as well as with my own kids, I am seeing that kids can “use” technology, but don’t really understand it. They can search for a website, for instance, but they have no idea what a website actually is — how it is coded, why it came up top in a search page, who created it, etc. This is work that we all need to do, all day, in all content areas. I would be curious to hear more about your perspective on this. What have your experiences been with students using digital media? Do you find that there are times when unplugging simply works better than using a digital tool? Your article was very thought provoking and I wanted to share the research that my graduate school group composed on the subject. I hope that you find it insightful. In a fast-paced, ever-changing digital age, we, as educators, explored what digital writing looks like in our classrooms and our school buildings. We specifically looked at digital writing through the lens of critical literacy, in order to sustain rigor with our students that is necessary for them to be successful in all academic areas. We began by asking questions about our own teaching and how it pertains to digital writing and critical literacy. Next we discussed and learned from each other about our practices in the classroom with students. Then we began looking at what others in the field of education have done with research that pertains to the subject. Throughout this process, our focus was on our own teaching and where we might need to shift to stay abreast of the digital age, allowing our students to grow in ways that will make them successful in a digital world. In an effort to bring our learning out into the field of education, we then published our work online. If critical literacy is about the ability to read texts with a critical eye and discern social implications, and there is a reciprocity that takes place between reading and writing, then isn’t it key to have writing play an integral part in fostering students writing towards critical literacy as well? Sentence stems and copying formulaic writing in group activities does little to promote independent thought that has a student determine what is implicitly important to themselves. In a study that followed a group of 2nd graders into 3rd grade, Dyson (1997) noted that students, when writing, wrote to change the “social and ideological state of affairs” they have experienced in their lives. The student writing Dyson studied were student-generated texts; not teacher generated with everyone copying from the board and using sentence stems with word banks. Shifting social and ideological ideas clearly speaks to critical literacy and will be difficult to achieve when students are not allowed to spend time writing about ideas that are important to them. Ethnographic studies of literacy have shown that individual reading comprehension of texts and writing requires students to make decisions about the subject matter of the text involved (Barton & Hamilton, 1998). It is important to note that texts are always involved in economic, cultural, and social exchanges, which aligns with critical literacy. As educators, we design lessons and implement resources that shape students’ social futures and hence their future communities (Luke, 2000). Creating lessons that allow students opportunities to read, engage, discuss, explore, and write about social interactions, norms, and concerns develops critical literacy. Ignoring the writing component in this process hinders students’ growth and development of critical literacy. The advent of digital texts has widened and expanded the field of critical literacy (Peters & Lankshear, 1996). In the context of writing, digital writing has greatly eased the writing task, allowing the writer to cut, copy, paste, and edit with ease. Online libraries and worldwide reference availability allow immediate access to research information. Hyperlinks create text-to-text references embedded within the writer’s script. Blogs and online discussion boards have transformed formal text writing into acceptable informal discourse and discussion. In addition, one cannot argue that publication of one’s writing can now be immediate and viewed worldwide by anyone within seconds of pressing a button on one’s computer. In addition, cyberspace interactions are by their nature social mediums, which play into the social aspects of critical literacy. Given the rapidly changing playing field of digital reading and writing of texts, it only stands to reason that teacher methods of reading and writing must shift also. Our world is becoming smaller and “one-world” with instant exchanges of social ideas through digital mediums. People are socially connected now in ways that has never been seen before and the school-age generation of today has not known anything else. This is their digital world and they navigate it fearlessly with ease. Writing about issues that are important to them allows them to connect into the digital text writing that is so prevalent today. This is not achieved with formulaic process writing, which is rarely seen in digital writing of today. Critical literacy can only enhance their writing experiences making them more marketable in their future career markets. Critical Literacy is the sum of our experiences, comprehension, text analysis and leads to the ability to engage in purposeful discourse. Overall, it leads to more critical thinkers and readers; however, this process does not happen overnight. It is very detailed and must be tailored according to the students in your classroom. Finding the means to do this in an engaging fashion, especially in a technology driven society, can be an obstacle all in itself. The question then becomes how can one accomplish this in their classrooms? 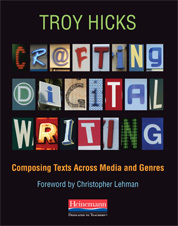 In his article about Critical Literacy in the Informational Age, Gainer (2013) states, “In terms of new literacies, digital literacies, and media literacies, we must help students read like writers by exploring these new texts and analyzing them with the eyes of those who construct such texts” (p.17). Critical Literacy is like building a house and is comprised of several components that enable the reader to take part in this analysis. The foundation on which this house is built, is the background knowledge that one must have in order to provide context to what they are about to read. Having this information helps the reader by providing insight in certain instances and also helps to eliminate certain comprehension issues, as the text is being read. This type of analysis requires strategic scaffolding in order for the reader to be successful. So what does this look like? This can be a combination of things such as providing pertinent background information about a text (and author) and teaching the reader to formulate leveled questions, which allows for the space and opportunity to allow authentic scaffolding to occur. Next, being able to answer leveled questions about the text are like the leveled floors/stories inside of the house. Being able to go from the first floor of basic comprehension, to the second of making inferences based off of text and personal experiences and prior knowledge and then being able to synthesize the text and make those critical judgments and gauge the validity of ideas, is expressed at this level. Through this questioning process, one is able to “chunk” the questioning to make sure that comprehension is present and allows success and student ownership of the learning, as well. 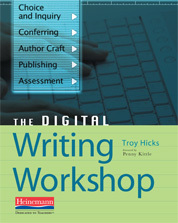 The next question that needs to be posed is, How can digital writing be included in this process? In an article about overcoming the challenges that educators face regarding the inclusion of digital writing in their classes, St. John and Von Slomski (2012) stated, “ Discussion in the English classroom must be multimodal, meaning teacher’s must provide students space to discuss topics in class and online” (p. 22). We know that this generation can barely take a step unless they have some form of technology glued to their hand or attached to their hip and this engagement must translate to the classroom to see the strides that we’d like to see in the content. This type of technological incorporation is also extremely beneficial for teachers. Consider the Google Apps and how editing a paper becomes more efficient, even in live time. This is illustrated further in the research when the authors discuss in their these Apps in their research by mentioning, “As a result, the study demonstrated the way a system such as Google Apps significantly improved the way students learned, under both collaborative and individual platforms” (p. 23). By being able to provide timely feedback in such a timely manner, it allows our students to implement that feedback and track their growth, in an organized manner. Once we are able to have the have the foundation in critical literacy set, then we are able to produce more rigorous outputs in our classrooms. At this point students are able to truly and effectively synthesize information. Whether it results in an essay that has been revised and edited multiple times as a result of timely feedback, a Wiki page, Prezi, PSA, etc. once the critical literacy skills are there the options for rigorous and quality outputs in limitless. 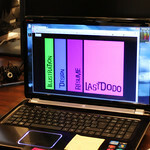 and has changed the way students interact with each other. Increased use of smartphones and tablets has affected the way student read and write. Digital tools are not just used for its social aspects, but are increasingly being used for educational purposes as well. While some teachers may not have jumped on the bandwagon and incorporated enough technology within their instruction, those that have are encouraging the use of digital tools and educational apps. Thus, students are using these tools along with social media to collaborate with their peers about classroom assignments and various academic topics. In looking at our own classrooms and teaching practices, my peers and I use some form of digital technology in our classrooms or during instruction. 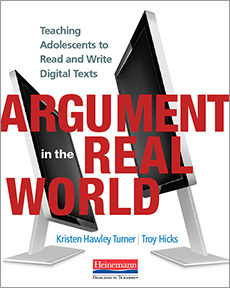 According to Beach, “…researchers are finding that students are more engaged in using digital tools when they are responding to and producing print/digital texts for the same social purposes that drive adolescents’ uses of digital tools outside of class to communicate with actual audiences for authentic purposes” (46). With this in mind, how can we stop the old adage of simply integrating technology into our lessons, instead infusing our instruction with new ways of learning using digital tools? Despite some of the barriers of digital tools in schools, most of us, have student computers in our classrooms and computer labs for class use to implement class projects. At the same time, lab time can be difficult to obtain, often having to schedule with advance notice due to limited computers for school-wide use. In some classrooms, teachers are not often utilizing digital tools to its highest potential, often just using classroom computers for passive reading, student rewards, and some time for learning on interactive websites. Student computers are also used for projects to create PowerPoint presentations and typing final work in word documents. According to Project Tomorrow in 2011, “…students are not using digital resources in approximately one half of the classrooms” (Beach 47). types of literature, can easily help students make real world connections to their own lives by exploring themes and using higher order thinking questions. Upon review, I discovered through our responses and from looking at my own classroom that, students learn best when doing. When students are engaged, they are learning. They love technology or anything that allows them to create with not just writing, but sharing of ideas between peers. Adding a powerpoint or having students publish their finished piece on a word document, is not integrating technology. Teachers have to be properly trained with ongoing professional development that allows collaborative sharing of activities and ideas and in so many schools, this is not happening. Other factors that may affect this downplay, this shift towards digital technology, is the lack of resources in low-income areas at school and at home. Teachers like to integrate digital literacies using various multi-media forms to develop oral fluency, compose multi-media texts, and produce reading and writing assignments on web. These teachers observed that children, even with learning difficulties, became engaged in instruction when had an opportunity to read and write using digital literacies. This type of instruction can be successfully integrated into lessons designed to help all learners, even students with learning disabilities. Students having grown up in the digital revolution are likely not to have ever seen library card catalogs, hardcopy indexes of Books in Print, or microfiche readers. In many cases they are more comfortable using tablet readers and other e-readers than reading hardcopy editions of newspapers and books. Today’s students are even leaving conventional television and radio broadcasting networks and viewing their favorite programs on digital devices such as iPhones and tablet computers (Stelter, 2012). children more choices in how they complete various assignments. It’s also interactive which assists with motivation and keeping them interested in instruction. These studies suggest that digital literacies can successfully be used to engage children in fluency practice, reading comprehension, composing, and multimedia learning activities. (Cheryl) – Doing research around critical literacy and how it pertains to writing allowed me to understand the value in having students write authentic stories about themselves and their lives. My gut was telling me that it was more effective, but I didn’t have educational reasons as to why it was more beneficial. Finding the research information from Peters and Lankshear was a great nugget because it allowed me to see the link between digital writing and critical literacy and how authentic writing has become more prevalent in digital writing. All of this information is valuable in working to shift the mindset of old school writing. It allows me to have ‘backdoors’ in conversations with teachers to lead up to valid points so they feel like they are making effective decisions for their students instead of me just ‘telling’. (Imrana) – As an educator, I’m always interested in learning new and latest techniques and strategies to integrate successful, thought-provoking, and real world applications while engaging my students with special needs in knowledge building activities. Through this research assignment, I’ve learned that digital literacy not only promotes literal understanding through fun, interactive lessons, but students also gain sufficient control of understanding conceptualized concepts. Peer reviewed articles proved beneficial in providing a variety of perspectives regarding digital literacy in classrooms. It’s not only a great way to reach diversity in learning styles, but also encourages students to collaborate with peers. Our nation is becoming more and more technology dependent and in order to catch up with the global world, we need to prepare our students for the real world environment through current technology. (Kellie) – Regardless of how cliche it may be, I thoroughly believe that knowledge is power and being innovative propels you to the next level. This research revealed how crucial critical literacy and the integration of digital writing are in student learning. It also challenged me to think outside of the box in this area by conveying that digital writing is more than just a typed versus written words. It brings authenticity, creativity and engagement to those words. Avila, J., & Pandya, J. Z. (2013). Critical Digital Literacies as Social Praxis: Intersections and Challenges. New Literacies and Digital Epistemologies. Volume 54. Peter Lang New York. Barton, D. & Hamilton, M. (1998). Local Literacies. Cambridge: Cambridge University Press. Beach, R. r. (2012). Uses of Digital Tools and Literacies in the English Language Arts Classroom. Research In The Schools, 19(1), 45-59. Dockter, J., Haug, D., & Lewis, C. (2010). 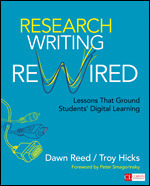 Redefining rigor: critical engagement, digital media, and the new English/ language arts. Journal Of Adolescent & Adult Literacy, (5), 418. Dyson, A. (1997). Writing superheroes: Contemporary childhood, popular culture, and classroom literacy. new York: Teachers College Press. Gainer, J. j. (2013). 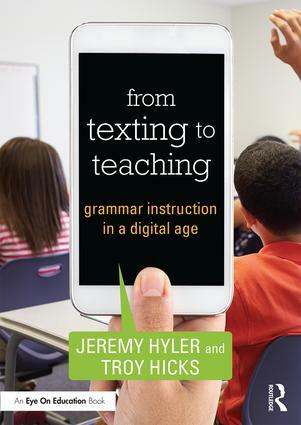 21st-Century Mentor Texts: Developing Critical Literacies in the Information Age. Journal Of Adolescent & Adult Literacy, 57(1), 16-19. doi:10.1002/JAAL.210. Gormley, K., & McDermott, P. (2013). Integrating the Digital Literacies into an After-School Program: A Structural Analysis of Teachers’ Lessons. Language And Literacy Spectrum, 2320-33. Larson, L. C. (2013). It’s Time to Turn the Digital Page: Preservice Teachers Explore E-Book Reading. Journal Of Adolescent & Adult Literacy, 56(4), 280-290. Luke. A. (2000). Critical literacy in Australia: a matter of context and standpoint. Journal of Adolescent & Adult Literacy, 43(5), 448-461. Peters, M & Lankshear, C. (1996). Critical literacy and digital texts. Educational Theory, 46(1), 1-133. Saine, P. (2012). iPods, iPads, and the SMARTBoard: Transforming literacy instruction and student learning. New England Reading Association Journal, 47(2), 74-79. Smythe, S., & Neufeld, P. (2010). ‘Podcast time’: negotiating digital literacies and communities of learning in a middle years ELL classroom: digital literacy projects can help teachers create classroom learning communities that critically engage and respond to the social worlds of English-language learners. Journal Of Adolescent & Adult Literacy, (6), 488. St. John, K., & Von Slomski, L. (2012). Overcoming Digital Literacy Challenges in the High School Classroom. The California Reader, 46(1), 21-25. Thanks, Kellie, and my apologies for a delayed reply. Finals week did me in, and I am just now coming up for air. Your group’s essay does important work in terms of reminding readers of the critical component that is sometimes lost in discussions of digital literacies. 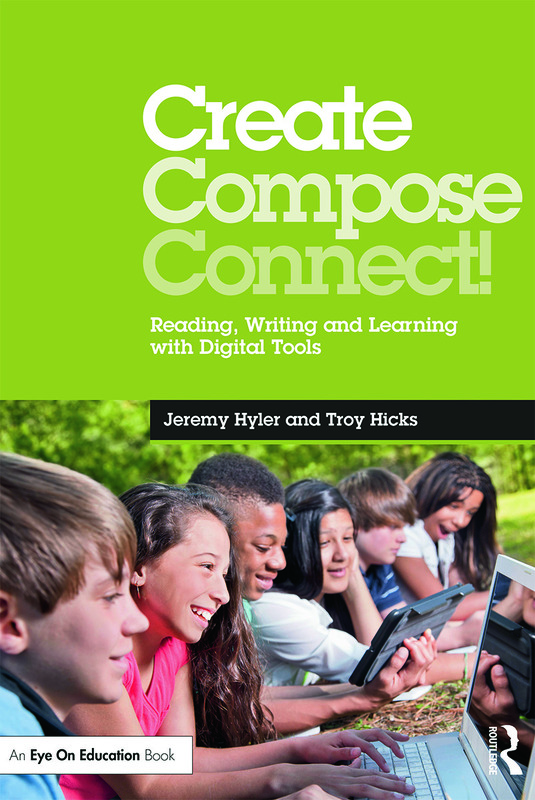 I appreciate how you note that “Critical Literacy is like building a house and is comprised of several components that enable the reader to take part in this analysis.” In the case of digital writing, we must be conscious of many layers, including the ways in which teachers and students are positioned in the school context, what tools are employed (as well as why those tools are employed), and how writing circulates within and beyond the classroom, school, and community. Digital writing — like all writing — is political. For instance, I am writing this reply on a blog that runs open source software and is hosted without ads. When teachers sign up for Blogger or Google Docs, those tools may offer similar features, but are those tools offered with the same terms as Word Press? Is it the same ethos? So, I do appreciate the reminder about the critical component and I am glad to see that you cited Avila and Pandya — they just won an award for that book at the Literacy Research Association conference earlier this month. Good luck with your studies and please stay in touch. I would be happy to talk with you about your research at any time.